The ginseng is classified into ‘natural ginseng’ and ‘cultivated ginseng’ depending on whether it is cultivated or not. Wild ginseng is kind of cultivated ginseng but grown in nature. That is, wild ginseng is naturally-growing ginseng on the mountains as it is without an artificial facility once its seedling or seed is planted by a person. The wild ginseng has spread from Southeast Asia to the rest of the world as a natural herb in the mountains, but the area remaining naturally abundant is not limited to Northeast Asia, parts of China, and parts of North America. 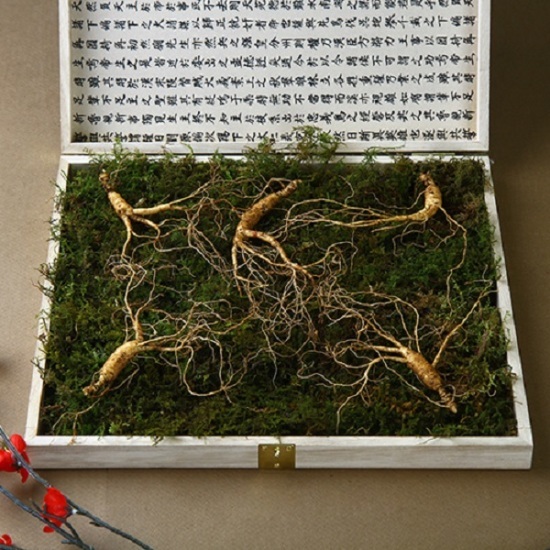 wild ginseng on the Korean peninsula has been found almost all over the country in the past but has since been found only in some mountainous areas and high mountainous areas. So, now in Korea, under the management system of the Korea Forest Service, the precious wild ginseng has grown in nature, but it is natural. The growth rate is slow and growing conditions are difficult. The wild ginseng grows in a challenging and clean environment that can grow, but many of them die, but the wild adaptation shows amazing vitality. Saponin and polysaccharide are the key ingredients of wild Ginseng. Wild ginseng has an anticancer effect, antioxidant effect cholesterol-inhibiting effect, polysaccharide lowers blood pressure and improves immune function. 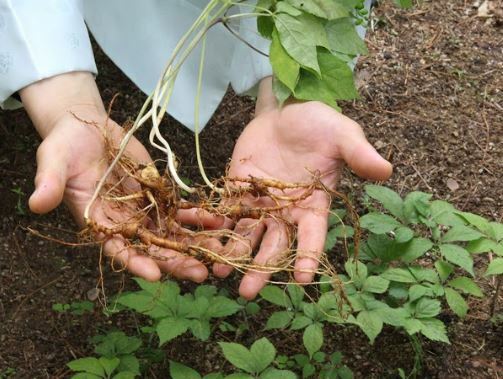 Because it can withstand natural conditions for more than a year in the mountains, the Korean Wild ginseng is free from worries about residual pesticides. Unlike natural ginseng, which cannot prove its quality, it is advantageous that it has the effect of natural wild ginseng and can guarantee certain effects through thorough history management. In particular, HAN SAM AE’s wild ginseng can be eaten whole, so it can ingest all the nutrients of goat ginseng without nutrients abandoned. If HAN SAM AE is not genuine wild ginseng, it will provide 100 times more compensation, and it gives strong confidence in the wild ginseng and confidence in customers.